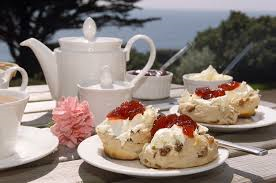 My second Cornish novel of friendship, romance, fun, and cream teas, is OUT TODAY! Abi’s Neighbour– the follow up to Abi’s House, continues the story of Abi Carter, and her new friends Max, Beth, Jacob, Stan and Sadie the Golden Retriever. 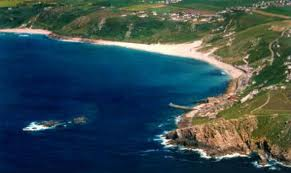 Set in the Penwith area of Cornwall, the sun is shining and the fish and chips have been ordered, ready for Abi’s next big adventure. So how am I celebrating today? Well, obviously I’m starting with a generously sized cup of black coffee…and I was thinking that later I might treat myself to a cream tea. As I’m in Devon however, I’ll have to be a good girl and have it the local way and not the Cornish way – I don’t want to be thrown out of the café after all! My real celebration will happen tomorrow, when I meet up with my lovely friends from University for a reunion. These are the very special people who influenced (and all appear in) my Another Cup of… series. I can’t think of better folk to help me raise a glass of bubbly to my latest novel. Next week there will be a blog tour- I will post details in a few days time. There will be some book events soon as well. I’ll be selling copies of Abi’s Neighbour in Tiverton, Devon on 23rd June as part of the literary festival (time to be confirmed), and I’ll be in Chippenham, Wiltshire, at the library on June 30th. I’ll shout out about both these events very soon! In the meantime- thank you all for your support! 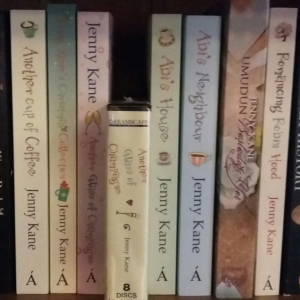 If you lovely folk didn’t buy my books, then I wouldn’t be asked to write any more! If you’d like to buy Abi’s Neighbour (which can be read as a standalone novel, or after reading Abi’s House), then it is available from all good book shops and online retailers.